A Multipotentialite Meeting of the Minds. IRL! Reserve your ticket for $150 USD deposit. The world needs us, and we need each other. Multipotentialites are innovators, mold-breakers, artful tinkerers, and thoughtful problem solvers. Our strengths are valuable and needed, even if they aren’t always understood by society. Everything Conference is a call to action for multipotentialites to embrace our superpowers and bring our unique melange of skills and passions to the world. 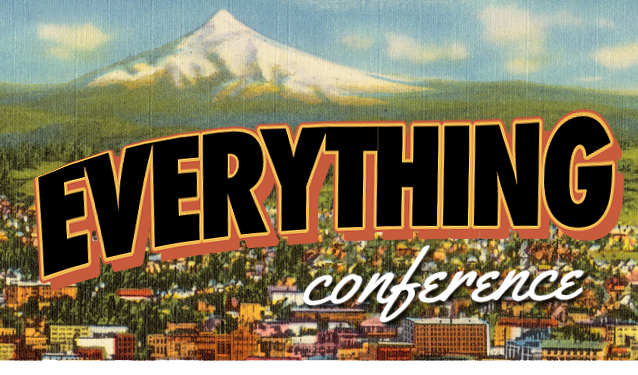 Everything Conference is the first of its kind: a highly interactive and community-focused event where you get to show up as your whole self. As a participant, you’ll have a chance to join a range of workshops and activities to help you build a sustainable and fulfilling life as a multipod. Everything Conference is founded on the premise that we each have something awesome to offer. Most of the action will be participant led. Maybe you’ll even lead something! New insights and action steps to move your career and projects forward. Energy, inspiration, and creative momentum to bring home with you. The self-care and reflection time you need to make the most of your Everything Conference. Opportunities to share what you’re good at, what you love, and what makes you you with others who are just as passionately curious. Belonging and connection. You’ll be among your people: other multipotentialites who “get” your non-linear path and your shifting, sometimes overlapping passions. What will our time together look like? The weekend will be packed full of interactive workshops, activities, and collaborations of varying sizes. Most of the sessions will focus on how to flourish as a multipotentialite in the modern world and will address some of our biggest challenges. Together, we’ll work on things like creating fulfilling work, telling your story & explaining what you do in a cohesive way, multipod-friendly productivity techniques, dealing with imposter syndrome, etc. Some workshops will be about learning specific skills; some will just be a chance to try something brand new! You’ll get to choose which sessions you’d like to attend and move freely between them. Your brain might be exploding a little at this point from all of the awesome new ideas, so we’re scheduling some self-care and/or reflection and/or unstructured social time on Sunday morning. If you feel like exploring, we got you! You’ll be armed with a list of multipotentialite-tested places to feed your brain, soul, and belly. This will be your opportunity to solidify connections with new friends or to refresh your introvert self with some alone time. We’ll reconvene in the early afternoon on Sunday for some final workshops and to reflect on everything we’ve built and learned together. You’ll be able to share your exciting next steps, strategize around any challenges that have come up, and cheer on your new multipotentialite friends as you all take ETC home with you. Where will the magic happen? Here’s the deal: we’re sick of conferences where celebrities are put on pedestals. At Everything Conference, the participants are the contributors. Once you register, we’ll be in touch to see whether (and how) you’d like to get involved. We’re serious about elevating the gifts and experiences of every single person who shows up. 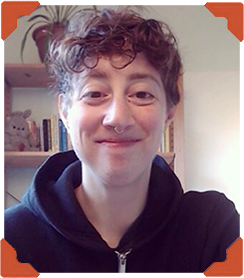 Emilie Wapnick is an award-winning author, artist, and community builder. 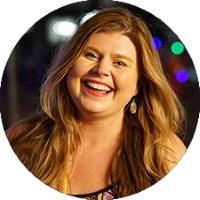 She’s the founder and creative director at Puttylike, where she helps multipotentialites integrate all of their interests to create dynamic, fulfilling, and fruitful careers and lives. Emilie’s TED talk has been viewed 6 million times and translated into 37 languages. She’s the author of How to Be Everything: A Guide for Those Who (Still) Don’t Know What They Want to Be When They Grow Up (HarperCollins, 2017). 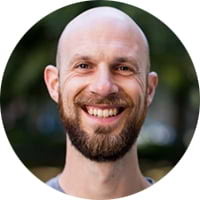 Joel Zaslofsky is the community-animator, multipotentialite, and quantum biology fanatic behind a bunch of neat stuff. 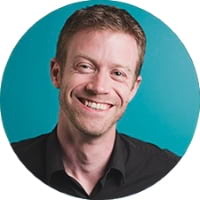 He’s the Connections and Operations Guy for the Puttytribe, hosts the popular Smart and Simple Matters podcast, and has one overarching theme in life: bringing people together. You’ll often find him deep into a minimalist spreadsheet, making his wonderful wife roll her eyes at his antics, or playing with his two young sons around Edina, Minnesota. 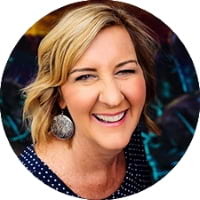 Vanessa Tharp is an experience designer and an organization and accountability coach who works with people doing good in the world. She loves to travel, has a heart in service, enjoys photography, bubble baths, and is a total foodie. Vanessa also has over a decade of experience as an educator with an emphasis in leadership. She’s been dubbed a super-connector and her energy and enthusiasm are contagious! Jeff Harry believes there’s nothing quite like watching a Senior Executive screaming with delight while skipping after a tiny LEGO® car. As the VP of Fun at Play-Well TEKnologies, he and his team show kids and adults how to tap into their true selves + feel their happiest and most fulfilled–all by playing with tiny LEGO® pieces. By infusing more play into the day-to-day, it turns out that giving people permission to be really silly helps them be more productive, learn faster, and love their work. Charlie Gilkey helps people start finishing the stuff that matters. 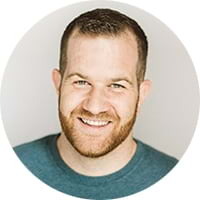 He’s the founder of Productive Flourishing, author of the forthcoming Start Finishing and The Small Business Lifecycle, and host of the Productive Flourishing podcast. Prior to starting Productive Flourishing, Charlie was a Joint Force Military Logistics Coordinator while simultaneously pursuing a PhD in Philosophy. He lives with his wife, Angela, in Portland, Oregon. Pamela Slim is an author, community builder, and consultant. Since 2005, she has advised thousands of entrepreneurs and companies such as Infusionsoft, Constant Contact, and Prezi. Pam is best known for her first book, Escape from Cubicle Nation, along with her follow-up Body of Work. In 2016, Pam launched the Main Street Learning Lab at K’é in Mesa, Arizona, as a grassroots, community-based think tank for small business economic acceleration. Stephen Warley has been happily unemployable for 18 years. He once ran his business from Spain for 4 months, discovered how to make six-figures working 20 hours a week, and farmed 1,000 square feet in Boston. On top of interviewing over 500 entrepreneurs, Stephen shows creatives how to weave all their different ideas together into one common profitable purpose. He believes self-employment is the future of work and more people are capable of working for themselves than they realize. 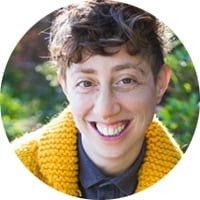 Trish Blain is passionate about creating a world where we feel deeply connected, valued for our uniqueness, and are able to work together towards a vibrant future for everyone. 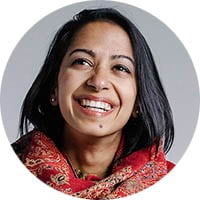 As a social entrepreneur for over 25 years, she has recently finished her first book, The Four Forces of Everything, which explores how deep connection, expression, purpose, and growth are the key to creating the lives and world we know are possible. 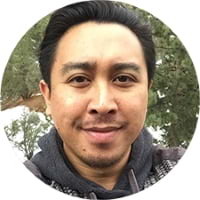 Abe Cajudo is a flux artist, multimedia storyteller, and freelance creative consultant living in Long Beach, California. He helps businesses build deeper connections with their customers by telling better stories–no matter the medium. 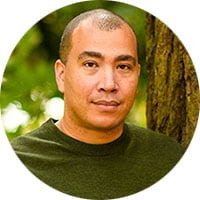 Abe is the author of one book, director and editor of dozens of videos, and the designer of numerous web, graphic, and crowdfunding campaigns. In other words, he likes making stuff. Humaira Hamid believes life is bigger than we can imagine, and kindness or courage are always called for. 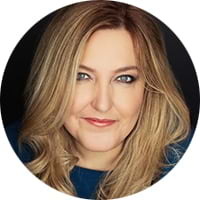 Her unwavering desire to connect and ask beautiful questions has led to a work as an award-winning educator, facilitator, consultant, and performer. As a recovering perfectionist and hyper-achiever, she’s taken a professional pause to explore what slowness and contribution might look like in a fast-paced digital age, and help others do the same. Mark Powers is a drummer, educator, author, speaker, actor, and more. As a teaching artist, he has facilitated a variety of percussion programs. 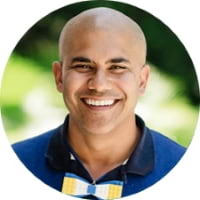 He has taught students in over 200 schools and organizations, presented at correctional facilities, and lead organizations in rhythm-based leadership and team-building workshops. 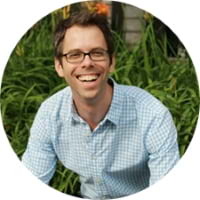 Mark is a TEDx speaker, co-author of “Alfred’s Drumset Method: Book 2,” and “The 2-in-1 Drummer,” and author of “Solo in Style“, as well as two children’s board books. 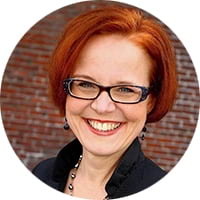 Riikka Salonen connects people and ideas that increase equity, access, and the sense of belonging in organizations. 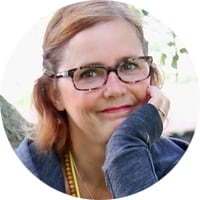 A polygot change agent originally from Finland, she’s supported thousands of people polishing their personal brand and finding a dream job (or a life partner). Riikka finds joy in building tiny houses for the homeless, furnishing homes for refugees, finding jobs for people with disabilities, growing organic food, and cuddling with her twin puppies and husband. Denise Ransome is a clutter-canceling creative catalyst. She firmly believes that everything can be done with ease and grace and that, in fact, is her mantra as a productivity coach, project manager, and event manager. Her unique combination of tact and tenacity allows her to help people make sense of the clutter so they can focus on the work that matters. Denise also lives in Corbett, Oregon and is the owner of the Peach Cheesecake Ranch. Anthony Ongaro is an audio-visual creator and intentional-living advocate. He’s the founder of Break the Twitch – a YouTube channel, podcast, and blog about minimizing distractions and doing more of what matters. He lives in Minneapolis, Minnesota with his wife, Amy, and their rocking dog, Rocky. What’s included in my Everything Conference ticket? Your ticket includes full access to the welcome party + three days of ETC goodness: workshops, activities, meetups, swag, special surprises, and snacks. You’ll also get access to an online space where you can connect with other conference participants before and after the event. The ticket does not include lodging or meals. 1. A one time payment of only $599 to buy your ticket. 2. A deposit of $150 to reserve your ticket, with two additional payments of $249.50 over the next two months (total of $649). How many people are coming to Everything Conference? Only 100! And nearly 800 of you have signed up for our email wait list…It looks like we may have underestimated the demand for a multipotentialite conference… If we do this again, we’ll find a bigger venue. But we want to keep this first conference small and intimate, so 100 spots it is. Ready for a magical weekend of creativity, collaboration, and connection with your fellow multipotentialites?! Note: There are only 28 tickets left for the event. And we don’t have any plans to release more or move to a bigger venue. Is Everything Conference right for me? Everything Conference is designed for multipotentialites who want to integrate their many passions into their life in a sustainable and fulfilling way. 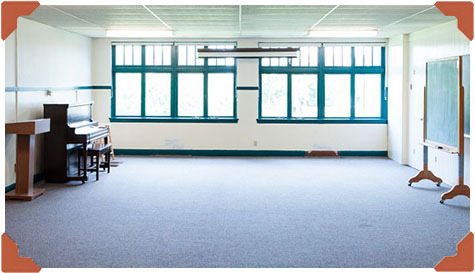 It will be a warm, supportive environment for people who love learning and connecting with other creative, open-minded folks. ETC is also very much an introvert-friendly event. There will be a range of different group sizes and plenty of opportunities for quiet reflection time. Best of all, you’ll be around other people who get it. At ETC, everyone knows how it feels to share the thing(s) you’re excited about and get sideways looks or questioning glances. So many of us lack other multipotentialites in our lives. At Everything Conference, you’re free to be everything you are, even if your many passions are very different from one another or otherwise “don’t make sense.” For three days, you’ll be surrounded by multipotentialites who are in the same boat, happy about it, and excited to make it work (and help you make it work, too). Do you have a ticket transfer or refund policy? ETC tickets are non-refundable. That said, we know it’s a big leap to buy a ticket now and risk not being able to participate. With this in mind, a ticket may be transferred to another participant for a $100 processing fee until July 15, 2019. How does the payment plan option work? If you would like to reserve your Everything Conference ticket with a deposit, you can make a payment of $150 now and two payments of $249.50 later (for a total of $649). If you select the payment plan option at check out, your credit card will be charged $150 immediately. You will then be automatically billed for $249.50 in thirty days and another $249.50 one month after that. If your ticket isn’t paid in full within three months, we reserve the right to offer it to someone else. Your initial deposit of $150 is non-refundable. Can you bill me through PayPal, Amazon Payments, or another payment processor besides Stripe? Unfortunately, no. We’re exclusively using Stripe for ETC payments due to their superior customer service, global integration, and enhanced security (which keeps you and us safer). As a tradeoff, our Stripe account can only accept credit, debit, or pre-paid cards under the Visa, MasterCard, and American Express brands. Why are there only 100 tickets available for the event? Couldn’t you have reserved a bigger space? We want to keep our first-ever event small, intimate, and logistically manageable. That, and we don’t want the Fire Marshall getting mad at us! The largest room we have reserved holds about 100 people. If we run ETC again, we’ll consider adding more multipotentialites to the mix. Is there a ticket waiting list if I don’t get a ticket now? We don’t plan to have a ticket waiting list. Sorry! Are partial or full scholarships available? Or can I volunteer and get a free ticket? We would love to have volunteers and make it easier for more people to participate. However, the more free or discounted tickets we give away, the fewer tickets we can sell, which means we have less of a budget to make ETC amazing (or to run it at all). Sadly, we just aren’t able to offer any scholarships or free tickets at our ticket price point and event size. Do you have sponsors for this event? Nope. We’re proudly sponsor-free. No one will be selling to you from our stage! Your main ETC team is Emilie Wapnick, Joel Zaslofsky, and Vanessa Tharp. 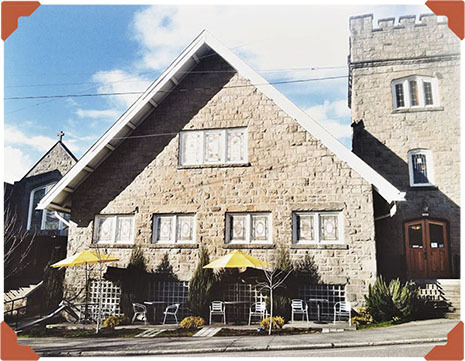 Where should I stay when I’m in Portland? We don’t have an official ETC lodging option. 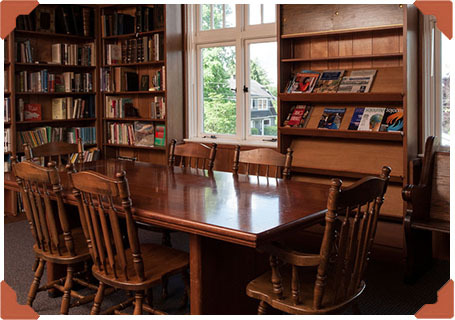 So we simply suggest you find a place to stay that’s near public transit or close to our main venue, Taborspace, at 5441 SE Belmont St, Portland, OR 97215. How do I get around Portland, especially SE Portland where the main action is happening? Travel Portland has created a great resource about how to get around via public transportation, bicycle, car, and other means. Check it out! I’m dying to lead a workshop… CAN I LEAD A WORKSHOP?? At some point in the next couple months, we’ll be sending out an email to all ETC participants with a call for workshop proposals. We would love to hear all about your amazing idea! Feel free to email us at team@everythingconference.com, and we’ll get back to you shortly. I’ve been longing to do this for so long–to get a bunch of multipods in one space together to learn, share, and collaborate. I know it’s going to be an incredible experience. We’ve mentioned it a few times on this page, but I know many of you are introverts and the idea of being in a big group makes you feel anxious. I’m right there with ya. (Total introvert, HSP, INFJ here.) And our planning team have absolutely been thinking about you as we put this event together. Constantly crazy, socially overwhelming experiences aren’t really our style! I absolutely cannot wait to hang out with you in Portland!